Safety should be an important consideration for anyone riding a bicycle, and a premium lighting system like the Volt400 Duplex can play a critical role in the equation, especially when riding in traffic. 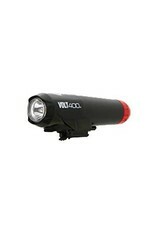 This helmet mounted light integrates both headlight and taillight all in one lightweight package. 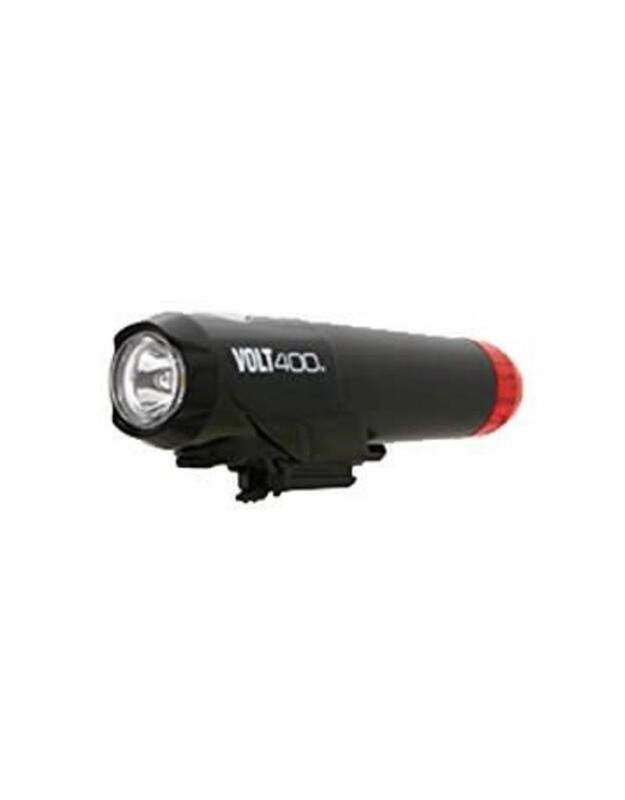 Five front modes vary between a bright 400 lumen constant beam down to a flashing setting, while the rear can be switched between constant and flashing modes. On high, the front will run for 3 hours before the Li-ion battery will need recharging via a convenient USB port, but can go for an amazing 150 hours in flashing mode. In busy city traffic, running bright lights, especially in flashing mode at eye level to many motorists, can be one of the best visual defenses a bicyclist has. Use it.